Twin parents never fail to amaze me. Jessie and Sean are no different; these two just have it together. They are totally dominating this whole two babies at once thing. Me? I'd probably be rocking in a corner somewhere - one at a time was hard enough for me! Not these guys though, during our short time together for this session I saw them feed them, change them, play with them, put them down for naps, (basically, you know, all the things) and they were totally cool the whole time, even with me there with my camera snapping away. I'm lucky enough to call these two people friends, and so this session meant all the more to me. I'm completely in love with their twin boys and can't wait to see them again so I can give them a snuggle. 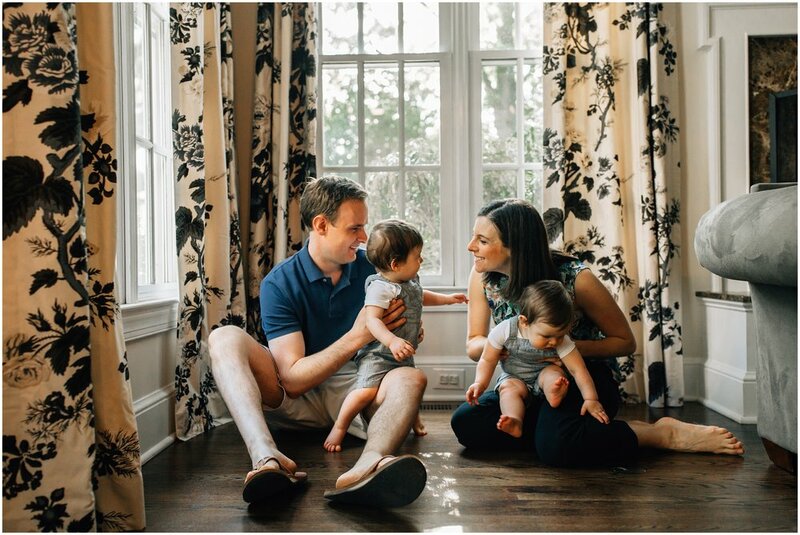 Thank you Jessie and Sean for making this lifestyle family session so easy and so wonderful! Enjoy a few favorites from our time together! 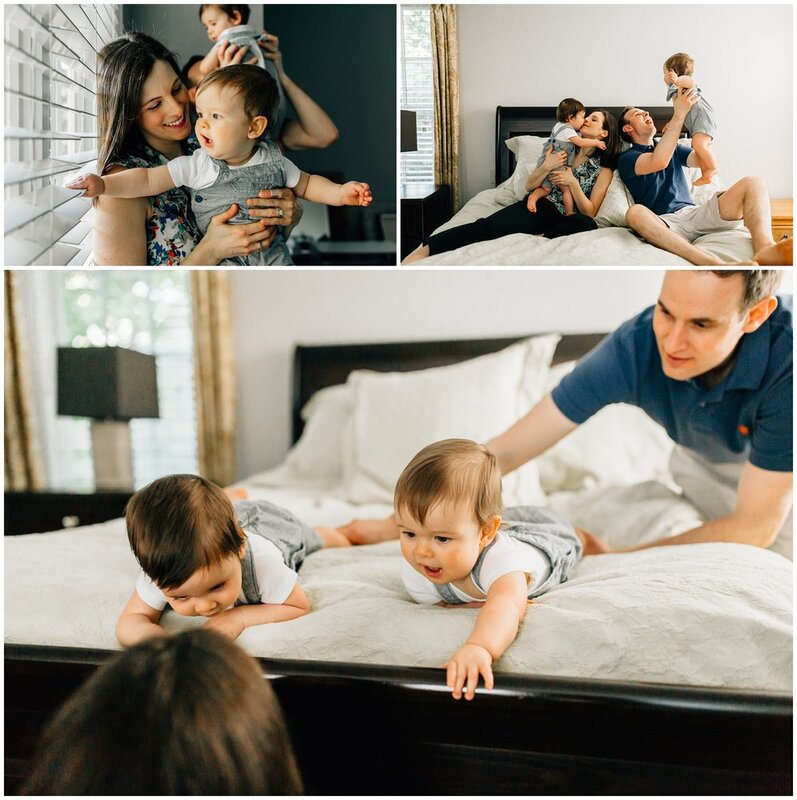 Jamie Vinson is a wedding and lifestyle family photographer residing in Raleigh, NC, and serving Cary, Chapel Hill, Durham, Wake Forest, and surrounding areas. She specializes in creating beautiful images filled with genuine emotion, and preserving them in fine art albums and prints. Inquire today to book a session!